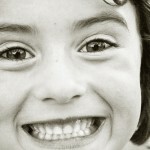 Home » Teeth Grinding (Bruxism) » What Causes Teeth Grinding? Do you wake up every morning with a feeling of slight headache and achy jaw, notice clicking or popping in your jaw when your try eating something? If so, may be you grind your teeth during sleep. Teeth grinding does not create any serious dental issue, but in severe cases it may lead to misalignment of teeth, which in future can cause gum disease. Teeth grinding is also known as bruxism, the word arrived from the Greek brychein which means to gnash or grind the divergent layers of upper and lower moral teeth. You may clench your teeth without being aware the fact both day and night during sleep. Bruxism or teeth grinding is one of the most common sleep disorders. Gradually, it shortens and blunts tooth row being ground that ultimately lead to temporomandibular joint dysfunction, myofascial and headaches. In some severe cases, it can cause arthritis of the TMJ (temporomandibular joints). A few studies done on bruxism suggest that 20 to 35% of children clench or grind their teeth during night’s sleep. It commonly happens when they develop their first teeth at the age of one or two year and again during the time of permanent teeth. This habit usually goes by when their teeth are fully formed. The cause of bruxism is a matter of debate, it is still not completely agreed upon. 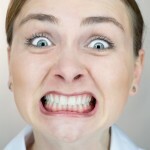 It is believed that daily stress sometimes triggers teeth grinding in many people. Following various studies, it has been expected that nearly 75% of bruxism happen as a result of anxiety and daily stress that is upsetting people subconsciously throughout sleep. Few of us clench our teeth and never feel the symptoms. Each person’s problem is different. Whether or not it causes you headache, jaw pain and other related problems may be a complicated mix of various factors including ability to relax, diet, posture and other sleeping habits. Teeth grinding can also be linked to an unusual bite due to occlusal discrepancy which is a problem related to top and bottom teeth create problem coming together. Missing or crooked teeth can also prompt someone to grind his/her teeth. In few cases, bruxism may be a result of taking certain medications. These include some psychotropic drugs such as antipsychotics and antideprssants. Many of you have bruxism that is mild in nature and doesn’t really require specific treatment, but if your problem is severe, a dentist can treat your problem with a mouth guard. You can wear the guard before going to sleep to help prevent any further damage. 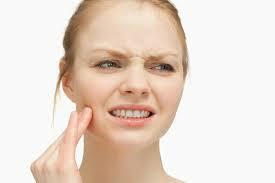 bruxism due to physical problem such as broken or misaligned teeth will need some serious dental consideration. You might have to wear braces or crowns or apply some more advanced techniques that could correct the dental flaws. 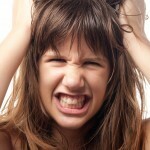 Treating bruxism caused by stress require different pathway. First, you need to identify the issues that causing you stress during sleep and them find ways to relax including, meditation, exercise or jaw-specific physical therapy or foods that can help you sleep in peace.